French for one who lives well. Someone who really enjoys the finer things in life, especially food and drink. BE A NOLA BON VIVANT. TOUR NEW ORLEANS TODAY WITH A NOLA BON VIVANT. ​ WITH A NATIVE NEW ORLEANIAN. Learn the history and current scene of New Orleans walking along with a native New Orleanian. 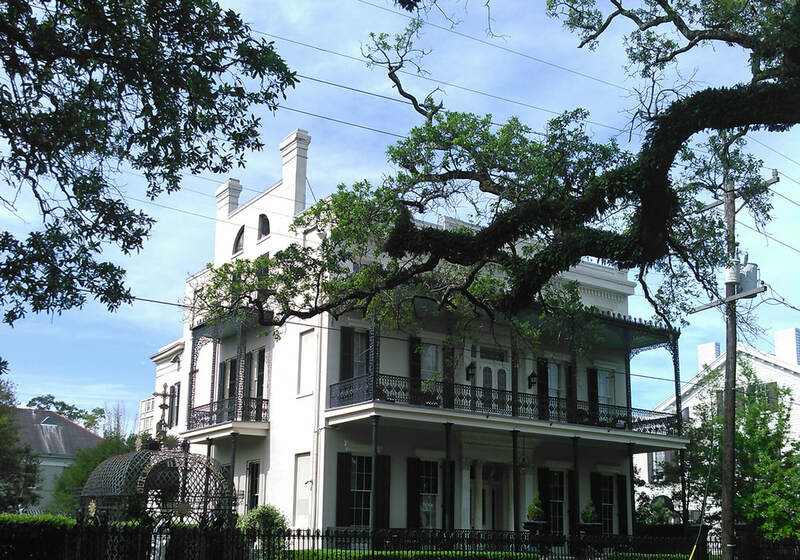 ​Explore the French Quarter, Garden District, Uptown, Marigny, Bywater, Bayou St. John, Mid-City or the Lakefront. There are so many neighborhoods, and so much to see! ​You can also build a tour around your interests, such as music, art, your ancestry or a specific cuisine, for example. Call or email to discuss custom tours. Want a shorter tour? I can condense some of these tours to finish in 75-90 minutes. Stroll through the streets lined with beautiful historic mansions. Learn about the lush neighborhood that was once called the town of Lafayette. Also visit historic Lafayette #1 cemetery. Historical Happy Hour. Learn about historical New Orleans while also learning the history of many cocktails created here. We will go to several old bars where you can buy a cocktail, to stay or to go. 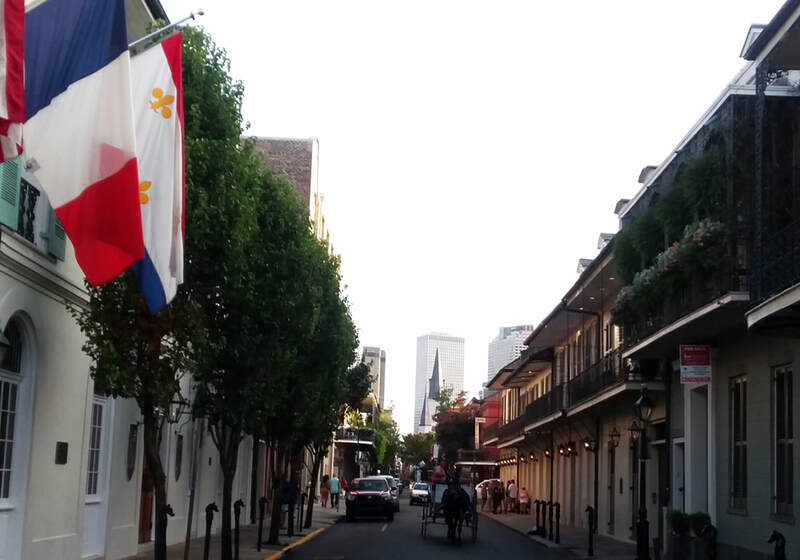 300 years of history is packed into the French Quarter. Meander through it all with someone rooted here for generations. Learn about all the different inhabitants who shaped this special place. Great intro for newcomers or those who have already visited New Orleans a few times. You can take the Canal St. streetcar to City Park/Museum, the last stop. We'll head into City Park, grab some coffee/beignets, see the sculptures, then go down Esplanade and into St. Louis Cemetery #3 if you'd like. We'll then view historic homes along the Bayou, ending the tour at a wonderful place that's been making po-boys for over 100 years, so you can eat lunch or get a drink. Take the streetcar along St. Charles and hop off at Audubon Park/Tulane University. 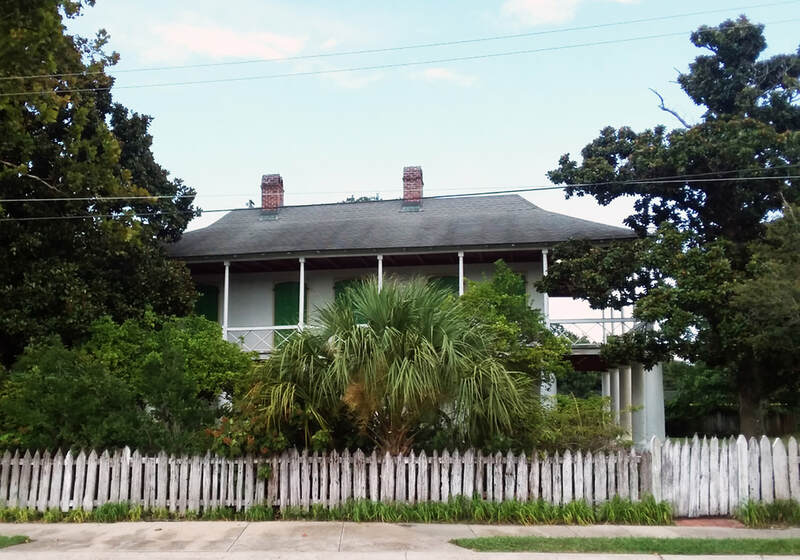 We'll head into Audobon Park and then go to an adorable main street district while discussing the history and current happenings of this neighborhood that was once it's own town upriver of colonial New Orleans. We'll pass by a famous music club, beautiful homes, and several interesting shops and restaurants. Just downriver of the French Quarter are some of the earliest Faubourgs (suburbs) of the city. Bernard de Marigny, the former owner of the neighborhood's land, was truly a bon vivant. 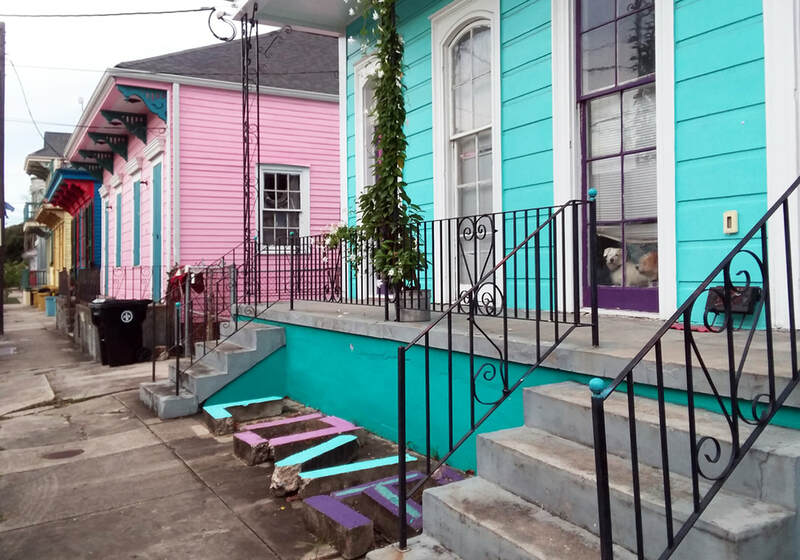 We will walk through Faubourg Marigny, view historic buildings, discuss music, and continue downriver to the Bywater. Music and quirky art venues abound, and we will stop by some of them. Come learn more about Lake Pontchartrain, the history of the New Basin Canal, the old amusement parks, the marinas and Bucktown's sailors and seafood spots. We'll visit a museum (admission included), view where the levee breached in Katrina, and see the huge new pumping station. The Lakefront is a great area for seafood, happy hour and a scenic sunset. WANT TO LEARN, BUT IT'S TOO HOT FOR A WALKING TOUR? WANT SOME GUIDANCE, SO YOU CAN GO EXPLORING ON YOU OWN? I'LL SHARE WITH YOU A BRIEF HISTORY OF NEW ORLEANS, GIVE RECOMMENDATIONS AND MAP OUT SOME AREAS FOR YOU TO VISIT. ​ YOU CAN THEN GO EXPLORING ON YOUR OWN AND AT YOUR OWN PACE. BOOK ONE OF THE PRIVATE TOURS ABOVE OR CALL/EMAIL TO SET UP A CUSTOM PRIVATE WALKING TOUR FOR YOU, YOUR FAMILY, FRIENDS, OR BUSINESS. COME VISIT NEW ORLEANS, HAVE A GREAT TIME AND LEARN A THING OR TWO! Chorus from Louis Armstrong's song "Azalea"
HOME/TOURS ABOUT LAGNIAPPE (A LITTLE EXTRA INFO) Call 1.504.373.4475!